A new website dedicated to providing people all over Northern Ireland with detailed information and interactive mapping on the country’s outdoor trails, community walking paths and outdoor venues has been launched. The website will be the first of its kind in Northern Ireland, letting users quickly and easily search for a wide range of opportunities to get outdoors. OutmoreNI.com acts as a ‘one stop shop’ for information on outdoor recreation in Northern Ireland for users of all abilities and backgrounds including complete beginners through to serious enthusiasts. Its goal is to help people discover what trails and outdoor facilities are on their doorstep or waiting for them in another part of Northern Ireland – including walking, cycling, canoeing and mountain biking trails as well as forests, parks, beaches and nature reserves. The website contains almost 700 trails and over 200 outdoor places which have all been individually mapped to show the important information needed when planning an outdoor adventure. This includes trail distances, information on parking facilities, admission charges, guidelines on bringing dogs and much more. 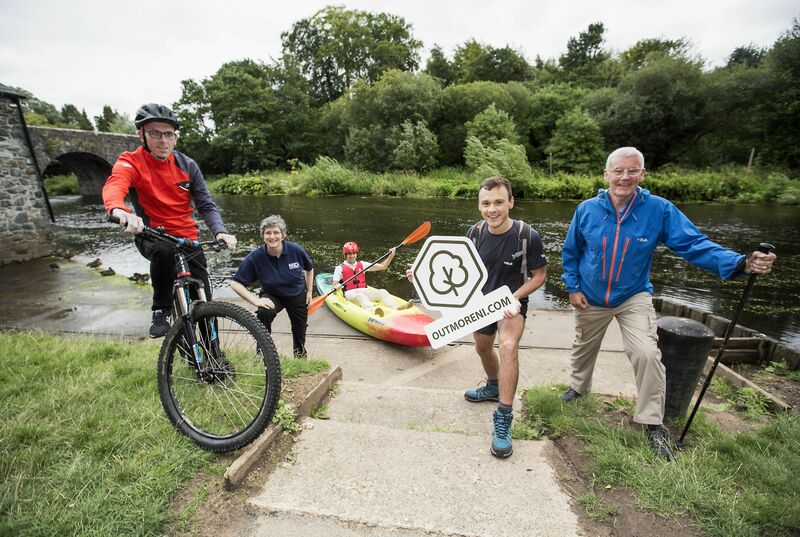 Outdoor Recreation Northern Ireland (ORNI) have been the driving force behind OutmoreNI, drawing from their years of experience in promoting outdoor opportunities through brands such as WalkNI, CycleNI, MountainBikeNI and CanoeNI. Financial funding was secured from SportNI and the Northern Ireland Environment Agency (NIEA), who are both thrilled to see a website like this developed in Northern Ireland. However, the website would not have been possible without the support from Ordnance Survey of Northern Ireland (OSNI) who have provided the mapping platform which the website is based upon. The website is now live and can be found by visiting OutmoreNI.com.